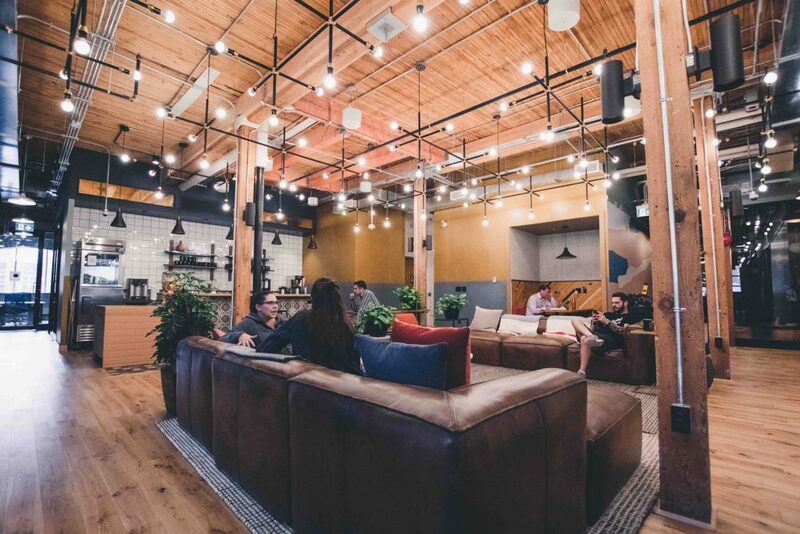 The co-working industry in Australia has reached a “slightly dangerous point in the cycle,” and 2019 will likely see a shakeup of the sector, Knight Frank’s global head of occupier research, Lee Elliott, told the AFR. Operators in Sydney and Melbourne currently have more than 250 co-working spaces—about 2 per cent of the available commercial space—and the number of operators entering the market is rising rapidly. “All of the [office building] owners are dipping their toes in, whether it’s partnering with a particular co-working operator or launching their own model of what they call co-working or just offering more flexible space in their buildings,” Mr Elliott said. The amount of growth the flexible workspace industry is expecting is “quite enormous”, said Damien Sheehan, Australian head of IWG, one of the world’s biggest flexible office space providers. “We believe that 2.5 to 3.5 per cent of total available commercial workspace is taken up in flexible coworking, or serviced offices and if you think about that by 2030, there’ll be 12 per cent.,” he added. This rapid growth, however, may shake out some operators. “What I see is a lot of co-working operators scaling very, very quickly, absolutely unbelievable rates of expansion, and I struggle to see how they can maintain a very high level of service,” said Lee Elliott. “I think there are too many providers out there trying to imitate a model they don’t fully understand. So, I think we will see some consolidation in the market place and some of the providers will start to shake out,” he added. The pressure on smaller operators has also increased now that traditional office landlords—such as Dexus, CBRE, JLL, and GPT—have their own flexible offerings. With a plethora of offerings entering the market, co-working operators are now focussing their efforts on services that offer a point of difference. Co-working operator One Roof, for instance, is offering space to women-led and pro-women businesses, says The Australian. “There are still significant barriers for women founders in the start-up and business world,” One Roof Chief executive Sheree Rubinstein said. “One Roof is putting women first in a way that is progressive and inclusive, focusing on women-led businesses and businesses that align with One Roof’s values and ethos,” she said. This week, One Roof landed its first ever capital raise, pulling in $1 million as it moves to set up its next flagship premises in Melbourne. “Landlords know [service] needs to be directed to their customers and that it’s not a one size fits all [approach],” Mr Elliott said. According to Mr Elliott, a middle ground will emerge as similar offerings from co-working operators and traditional landlords will be judged on three principles: customer flexibility, workplace experience, and services.